How do I use the RIT PhishBowl? If you receive a suspicious email, visit the RIT PhishBowl and scan the list of recent phishing alerts. If the email is posted, there's no need to report it. Simply delete the email and you're done. Reported 3/14/19. Sent from compromised email account in Texas. We’re seeing a large number of attempted Business Email Compromise (BEC) emails where the scammer impersonates a manager or leader to engage the recipient in a conversation thread. There’s no initial request, but once a conversation is started, the scammer will ask the recipient to purchase a number of gift cards (or engage in a financial transaction). Industry reports indicate a high susceptibility rate to this type of scam. Read more about Are you available? For more information on this type of extortion attempt, please visit Krebs on Security, Sextortion Scam uses Recipient's Hacked Passwords. Read more about RE: IT-Help ticket. LEGITIMATE MESSAGE: February 14-15 ONLY. 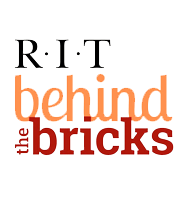 Because of bank mergers, RIT payroll changed the information on several hundred direct deposit accounts. If you received a notification, please review your direct deposit information on myInfo. Thank you for helping RID RIT of Phish!